Pose the question “Brew?” to someone, and their answer will normally define their lifestyle. If they say “Cheers! Nothing like sipping a cold one” you’re looking at a confirmed beer drinker. If, however, the answer is “Double espresso – hold the milk,” we have a coffee connoisseur on our hands. And now there’s a third option, brought to you by Boston Breweries and Deluxe Coffeeworks: an option that will leave both sets of brew addicts licking their lips and looking for more – Black River Coffee Stout. It’s exactly what it sounds like: a jet-black brew with a toffee coloured head with an unmistakable aroma of perfectly roasted coffee beans. With a hint of delicious malt in the background, this is a taste-bud activating scent that invites that deep first sip. A caffeinated beer? 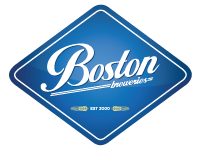 “Absolutely!” says Chris Barnard, Chief Brewer and MD of innovative Boston Breweries craft brewing company. “This is a stout: a drink that is to be savoured rather than chugged. It is the perfect evening drink, and is ideal at meal time too. It’s a fantastic accompaniment to sweeter foods, and the subtle carbonation makes it perfect to cleanse palates after creamy dishes.” Black River Coffee Stout lives up to the reputation that stouts have built since 1677: hugely popular dark brown beers made with roasted malts: they were stout by name and stout by nature. Boston Breweries have stuck with the centuries-old brewing tradition, but with a coffee flavoured twist that would have had our ancestors drooling. Deluxe Coffeeworks full-bodied, full flavoured and smooth coffee beans enhancing Boston Breweries perfected brewing methods promises to be a ground-breaking move that will set the beer and coffee drinking worlds alight. Available in both bottles and traditional kegs, Black River Coffee Stout with its thick, chocolate coloured head and superb coffee flavour notes is a brewing innovation whose time has come.